McKenzie was born in Glasgow and started his career in his hometown with Petershill before moving to Third Lanark. 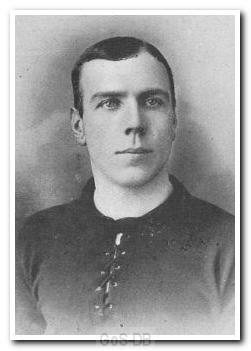 A centre-forward, he had a good goalscoring record for Thirds, netting 11 times during the 1903/04 season and also helping his side win the Scottish Cup in 1904/05, when they defeated Glasgow Rangers in a replay at Hampden Park. His form led to a move to Sunderland in 1905, but he scored just once in eight appearances and moved on after a single season, joining Argyle in the summer of 1906. McKenzie was virtually ever present after arriving in Plymouth and scored an impressive 10 goals in just 27 games, but left to join Portsmouth in February 1907, primarily because of financial problems at Home Park. He stayed at Fratton Park only for the remainder of the 1906/07 campaign and then moved on to Glossop. McKenzie ended his career with spells at Queens Park Rangers and Brentford.